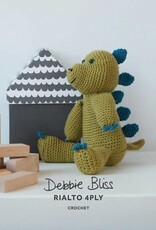 Debbie Bliss Crochet Dinosaur - Woolly&Co. 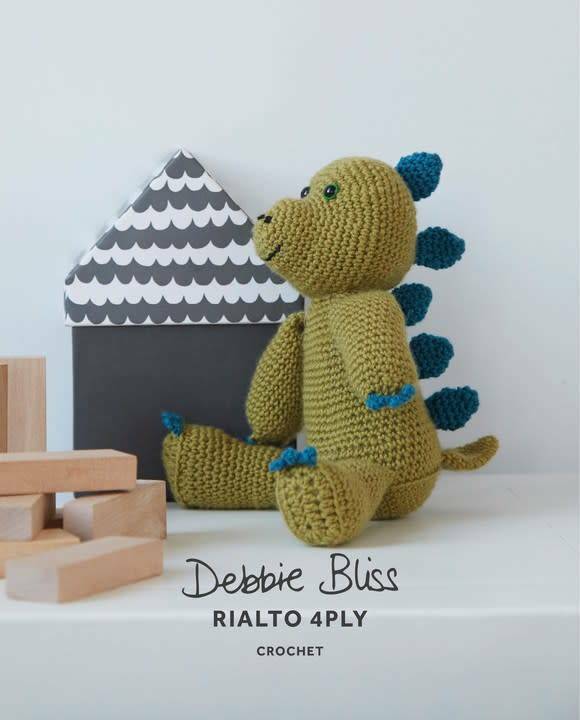 You will need Debbie Bliss Rialto yarn: one ball each of your main and contrast color. Small amount of black yarn for embroidery. A 3.25mm (UK10 - US D/3) crochet hook. A pair of 11mm safety eyes. Approximately size of finished toy: 9½ x 5½ in.